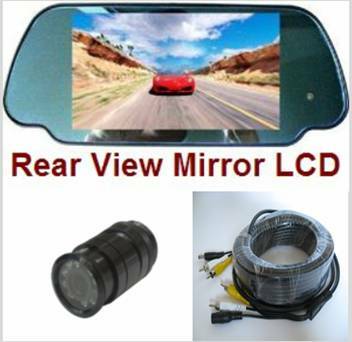 VEHICLE REAR VIEW BACKUP SYSTEM - CCD COLOR INFRARED NIGHT VISION KEYHOLE CAMERA WITH 7" TFT LCD REAR VIEW MIRROR MOUNT MONITOR!!! 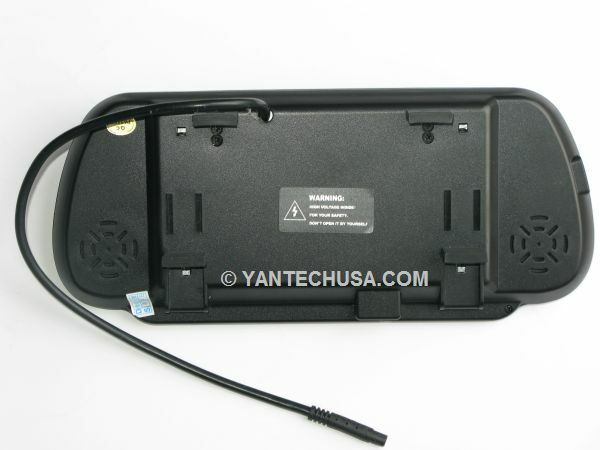 The TFT LCD Rear View Mirror Monitor Also Works With Our Many Other Addtional Rear View Cameras! Up to TWO Cameras Can Be Viewed On The 7" Wide Screen Monitor Within The Mirror! 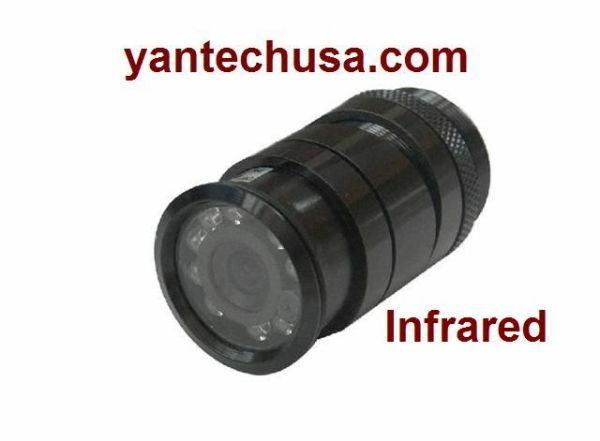 One CCD COLOR Keyhole Weather/Water-Proof Wide Angle Vehicle Rear View Camera With Wide View Angle, and Infrared Night Vision (Model CW134085CI, black color). Approx. ? 1.2" x 1.9" for cylinder part. 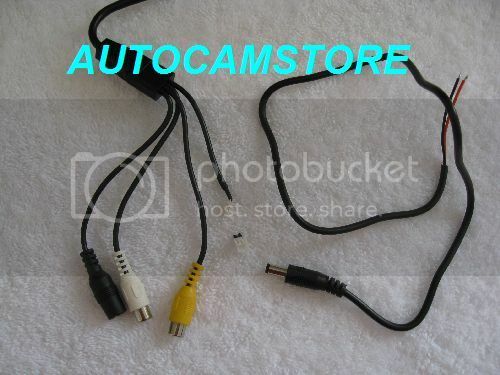 Camera comes with angle control rings, fix ring, RCA video output socket, and power input. All the necessary cable hookups for monitor installation and right out-of-the-box use. 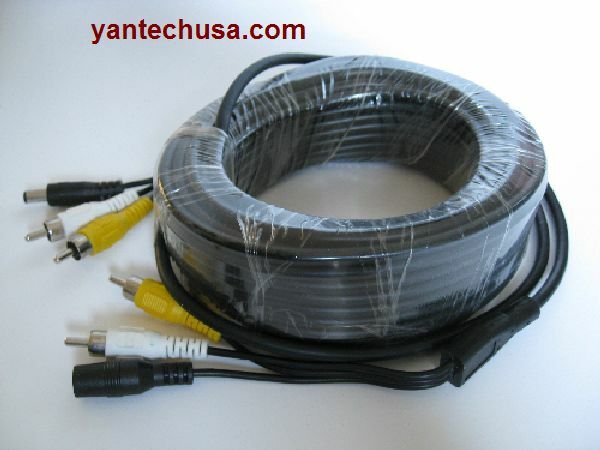 32' or 49' cable to connect the backup camera and rear view mirror monitor, with heavy duty weatherproof connectors!!! 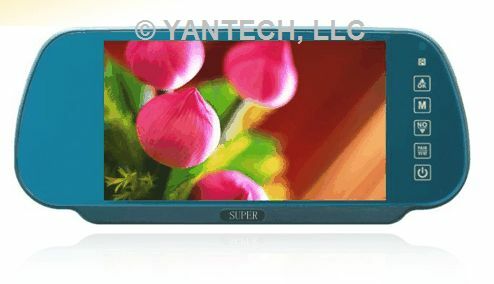 Up to TWO cameras can be viewed on the 7" wide screen monitor within the mirror! Universal adjustable mounting clips to attach the monitor over your existing rear view mirror in seconds! Dimensions shown are approximate and for demonstration only, actual dimensions may be slightly different. NOTE: Fits most standard and after market rear view mirrors. Please confirm that yours is the right size prior to purchasing. Please ensure that the mirror can withstand the weight.